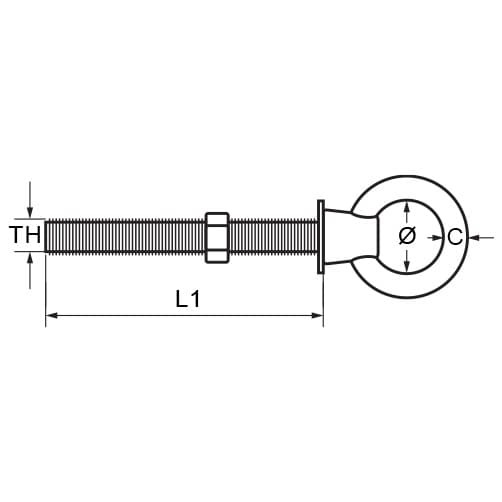 Commercial eye bolt, long metric thread shank with washer and fixing nut for secure installation. Hi original item not what I asked for but after a brief phone call problem was resolved, many thanks. Kind Regards, Neil Davies. 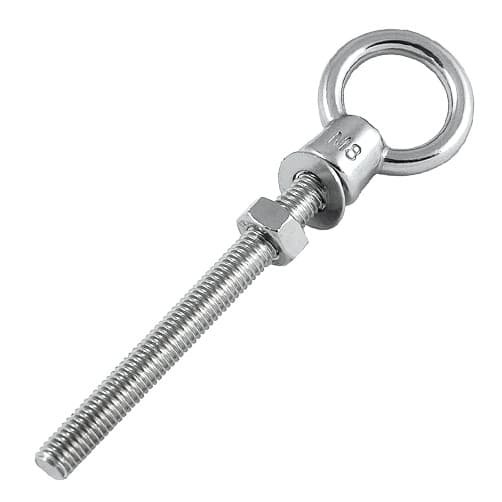 Good strong eyebolt installed as a towing eye on a heavy sledge. Well described on website. Good quality eyebolts that did the job. As described and of high quality. Great easy to use website found what in I needed for the job Product arrived well packaged and on time . Just what was needed. Quick service and a good price. Good fixings for scaffolding pole project. v ery good value and fast delivery times would buy again. Sized for use on child'swing. Having searched various sites this was just what I wanted...I used them to suspend a swing seat from a pergola. I am confident that they will not let me down! Rapid deliver and good product. Good, all as expected which is ideal. Could do with a larger washer when bolted through timber. Very happy with all of the items purchased including the stainless steel eye bolt. Good product looks very neat. Exactly what I wanted and as described. It also arrived quicker than expected. Arrived as expected, looks like good quality stainless steel. easy web site goods arrived nex day what more could i want? Excellent quality - all technical details given on the web site. What really can I say about a simple thing like this. It is as described/pictured, and it fits the rope and it does its job. Just what it looks like. Good heft to it implies good quality. I used to buy these at a local supplier but they closed down. Found these on the web much cheaper delivered to your door which saves me time.